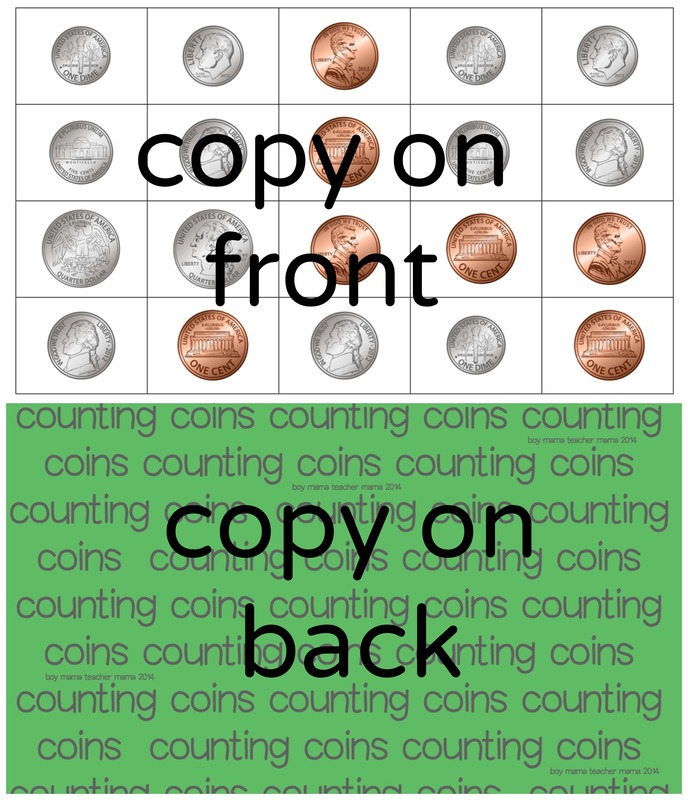 Players pick a card and move the number of spaces that matches the coin on the card. 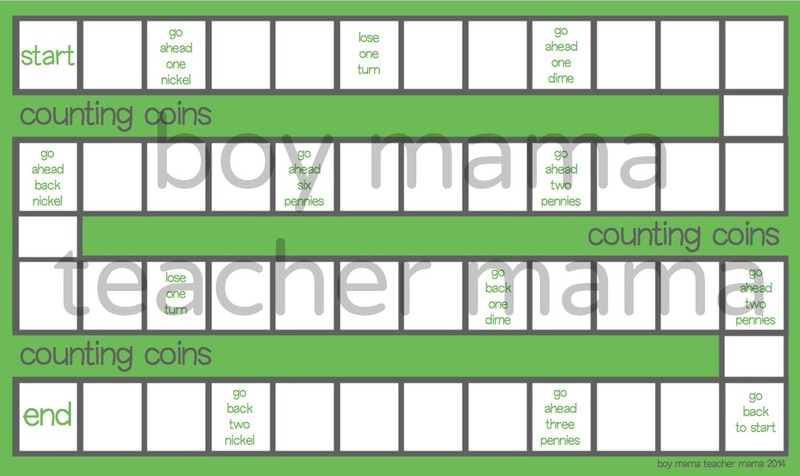 For example, if a player picks a card with a nickel, he moves 5 spaces. 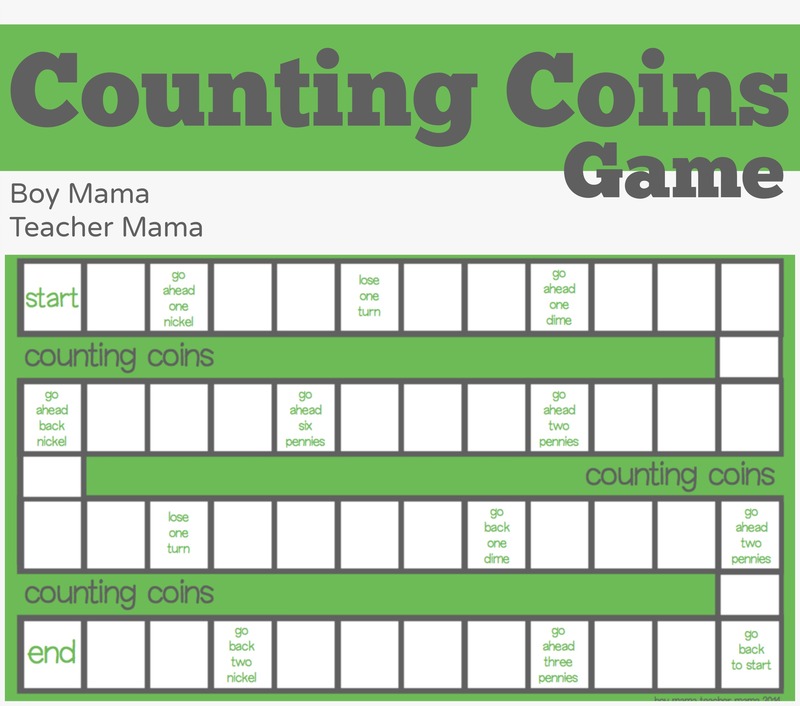 The game continues until a player reaches “end” and wins the game. 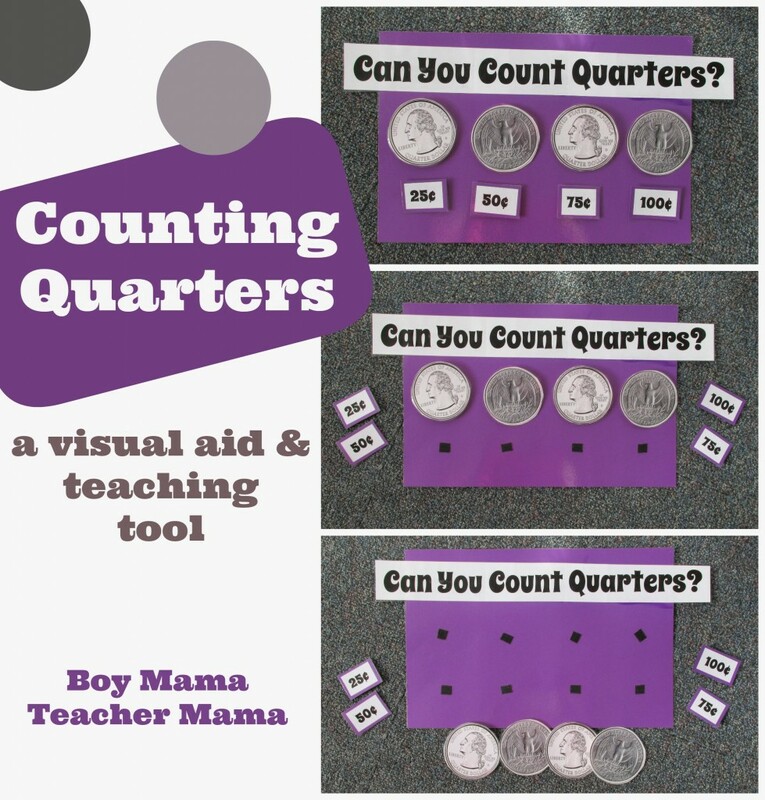 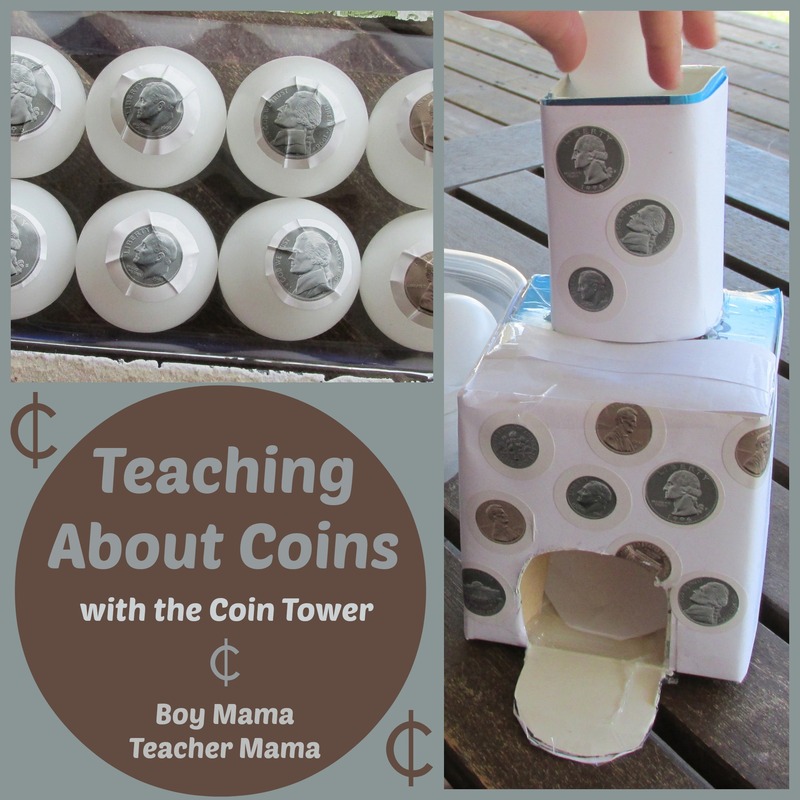 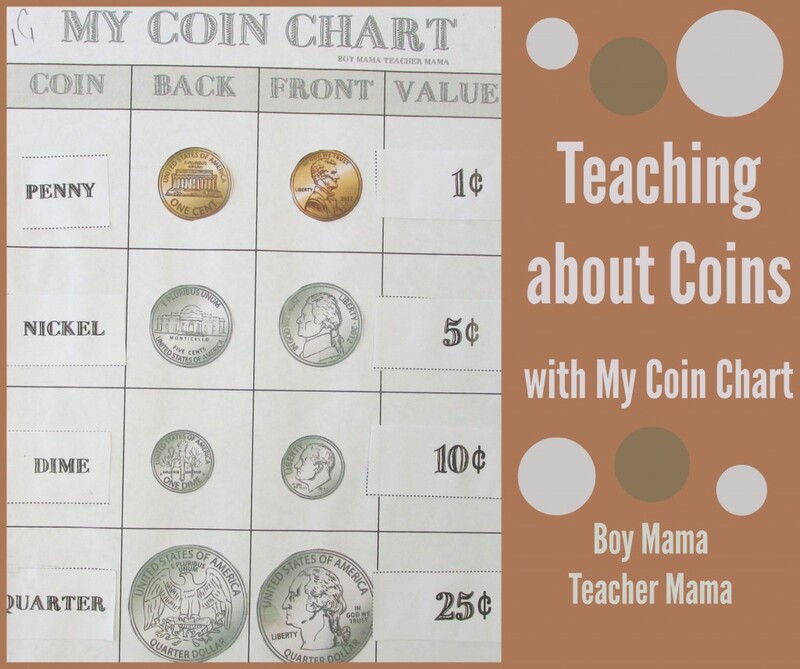 What a great way to teach kids about money!